Add sparkle and shine to your style with this sterling silver three stone ring. Perfect as a statement piece or to add to a glitzy stacked look, this ring is set with three stunning cubic zirconia stones to create the perfect accessory to compliment any outfit. 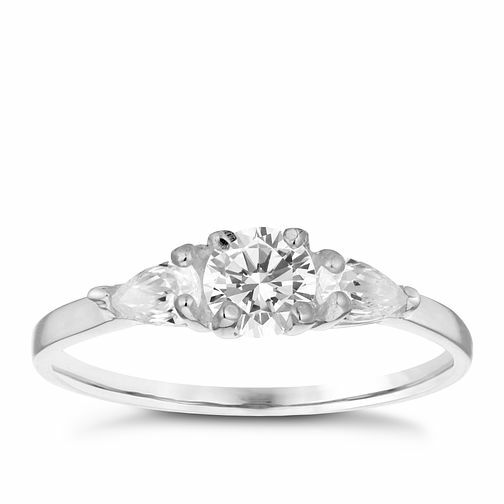 Size L.
Sterling Silver Cubic Zirconia Three Stone Ring Size L is rated 5.0 out of 5 by 2.